Jet Pilot Mens X1 GBS 3/2mm Steamer is the high-performance offering as part of Jet Pilot's recent foray into high performance wetsuits that are just as suited to being in the surf as they are the ski. Key elements in any high-performance mens steamer are high-stretch neoprene, sealed seams, chest zip and a thermal lining - all of which are included in the X1 steamer. Jet Pilot have included a thermal panel along the chest of the X1 which works in two ways to increase your warmth. Firstly, the material itself repels water which, combined with the channelling in the weave (check out the picture), forces water away from your vitals, in turn keeping your vital area drier and warmer. Secondly, the weave holds small bubbles, these bubbles work to further insulate you against the cold. Win win! 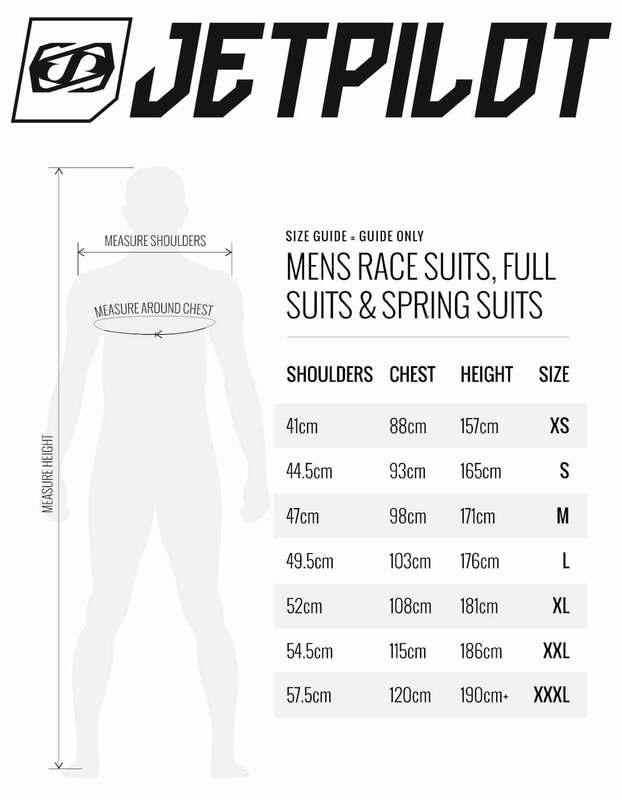 To get the most out of your Jet Pilot Mens X1 GBS 3/2mm Chest Zip Steamer we recommend washing it with Wetsuit Wash & reading our maintenance guide. 360 Stretch Neoprene: Jet Pilots high-stretch neoprene that they use in their surfing wetsuits and feels amazing in hand, one of the most supple in the entry level market! Chest Zip: Chest Zip enclosures are the standard in high-performance wetsuits as placing the zip between your shoulders greatly increases stretch on the back/spine panel - in turn reducing fatigue from your paddle stroke. Initruged? Check out our info vlog on Zips. Thermal Lining: Jet Pilot have laid a thermal lining along your chest and down to your thighs, more on this above. YKK Zipper: need we say more?